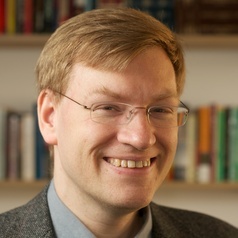 Anders Sandberg’s research at the Future of Humanity Institute centres on societal and ethical issues surrounding human enhancement and new technology, as well as estimating the capabilities and underlying science of future technologies. Topics of particular interest include enhancement of cognition, cognitive biases, technology-enabled collective intelligence, neuroethics and public policy. He has worked on this within the EU project ENHANCE, where he also was responsible for public outreach and online presence. Besides scientific publications in neuroscience, ethics, and future studies, he has also participated in the public debate about human enhancement internationally. Anders also held an AXA Research Fellowship, and is now the senior researcher in the FHI-Amlin collaboration on systemic risk of risk modelling. .
Anders has a background in computer science, neuroscience and medical engineering. He obtained his Ph.D in computational neuroscience from Stockholm University, Sweden, for work on neural network modelling of human memory. He has also been the scientific produce for the major neuroscience exhibition “Se Hjärnan!” (“Behold the Brain!”), organized by Swedish Travelling Exhibitions, the Swedish Research Council and the Knowledge Foundation that toured Sweden 2005–2007. He is co-founder and writer for the think tank Eudoxa.